ROSANNE CASH PERFORMS FOR SAILBOAT ELEANOR « Hudson River Historic Boat Restoration and Sailing Society Inc.
Rosanne Cash, one of the country’s pre-eminent singer/songwriters whose voice transcends country, pop, rock and blues will, in her generous style, perform a benefit concert for the Hudson River Historic Boat Restoration & Sailing Society at Club Helsinki Hudson on Saturday, May 4. 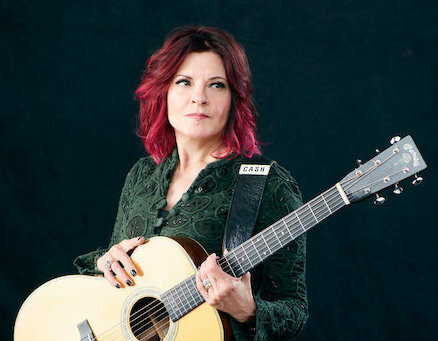 Rosanne has released 15 albums of extraordinary songs that have earned 4 Grammy Awards and 11 nominations, as well as 21 top 40 hits, including 11 number-1 singles. Cash has forged a remarkable career, becoming one of the most notable singer/songwriters of her day. The grass roots Hudson River Historic Boat Restoration & Sailing Society is very excited to host the evening by casting off at 7:30 with a program of Hudson River Sailing Lore and Tales of the Sea followed at 9 p.m. by the evening’s main event, Rosanne Cash accompanied by husband/co-writer/producer and arranger John Leventhal on guitar. Proceeds from the ticket sales and considerations for gift baskets and sponsor gifts will go to help support the final stages of historic sailboat Eleanor’s restoration and her first splash back in the Hudson River since 2001. Eleanor, now owned by the Hudson River Historic Boat Restoration & Sailing Society, was built in 1903 in City Island, New York. One-hundred-and-sixteen-years-old, but newly outfitted and restored by an all volunteer member crew, she will serve as a waterborne classroom, providing guided hands-on experiences for people of all ages to access the Hudson River and to witness the beauty of the river’s shores from the intimacy of Eleanor’s cockpit, and to learn how to sail. As the last surviving example of a class of boats known as ‘raceabouts’ that were designed for speed, Eleanor represents a unique chapter in the evolution of sailing. The not-for-profit Hudson River Historic Boat Restoration & Sailing Society, established in 2011 welcomes, historians, sailors, musicians, adventurers, and woodworkers to join in the celebration of the return of her graceful lines and seaworthiness and the people who helped make that happen. Tickets for the event to support Eleanor are available by calling Club Helsinki Hudson directly at 518-828-4800 or by going to The Club page on helsinkihudson.com . Drinks and food are not included.